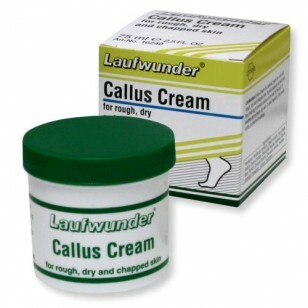 Laufwunder callus cream is specifically designed to use on rough, dry and chapped skin. It gives elasticity to hard skin, thus helping to prevent cracks on the heel of the foot. It soothes and protects dry skin.